Beginning in June, Farmers' Market vouchers will be distributed in Monongalia, Marion, Harrison, Preston and Doddridge counties. More information to follow! Harrison County's WIC office has moved from Clarksburg to Bridgeport. The new address is 103 East Main St., across from Almost Heaven Desserts. The new number is 304-848-9680. To get to the new location, take exit 119 off I-79 and head east toward downtown Bridgeport for about two miles. The new office is on the right. As of October 1st, 2018, the WIC approved food list was updated to include yogurt, corn tortillas, 20 and 24 ounce loaves of bread, canned and frozen fruits and vegetables, and a few other additions. Stop by your local WIC office to pick up a new Shopping Guide, or use the app to find the new items! The 11th Annual Breastfeeding Awareness Walk was held on August 1, 2018 from 5:00-7:00 p.m. at the WVU Erickson Alumni Center in celebration of World Breastfeeding Awareness Month. There were refreshments, prize drawings, a diaper derby, story time and more! We had a great turn out this year, and we look forward to seeing everyone again next year! Books for 4 year old children! ​​Be sure to bring your four year old child in to receive one of a variety of books at their WIC appointment! WIC has a special gift to help celebrate your three year old's birthday! Monongalia County Health Department WIC wants to help you celebrate your child's third birthday and keep promoting their healthy eating habits! We are gifting MyPlate dinnerware sets to children who are turning or have recently turned three. Each set features a plate with four sections for each food group, a cup, a utensil set with travel case, and a two-sided healthy eating and activity placemat. Ask your WIC nutritionist for more information. Dairy Cups for two year olds! Be sure your child is drinking the recommended 16-24 ounces of milk/day with this dairy cup, which all two year old children will receive at their WIC appointment! Mon County WIC and MCHD Dentistry are partnering to promote healthy teeth! The American Dental Association recommends every child visit the dentist by one year of age. If your child has not yet visited the dentist, make an appointment with MCHD Dentistry at (304)-598-5108. Receive a Happy Teeth book at your one-year-old's WIC appointment! The free WICShopper™ mobile app takes the guesswork out of WIC shopping! Scan a product bar code with your phone and the WICShopper™ tells you if the item is WIC eligible for YOU and if you have enough benefits to purchase it. Download the app at EBTshopper.com. Still need extra guidance regarding your shopping experience? Click here﻿ to check out our new and improved online shopping guide. The Centers for Disease Control and Prevention (CDC) has a newly designed immunization website for parents. Parents can learn about vaccines needed for their child's age, how to make vaccine visits less stressful, immunization records and requirements. They can download easy to read immunization schedules, use an interactive immunization scheduler and view CDC educational resources. Visit the website at www.CDC.gov/vaccines/parents. Monongalia, Marion, and Preston County WIC clients are eligible for free entry at The Spark! Imagination and Science Center by showing our eWIC card. The Spark! Imagination and Science Center has puppets, science experiments, dress-up, and much more for you and your kids to explore. Monongalia, Marion, and Preston County WIC clients can get free admission for adults and up to 6 kids. Simply bring your eWIC card to the center for your free admission! The Spark! 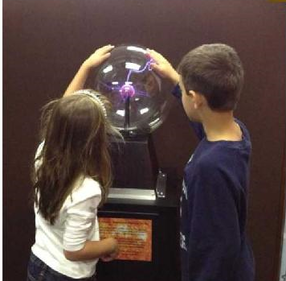 Imagination and Science Center was previously known as the Children's Discovery Museum of West Virginia. The center is still located in the Mountaineer Mall at 5000 Greenbag Road. Open Tuesday-Saturday from 10am-1pm.